Dorena Rode was born in 1964 in Detroit, Michigan. She moved to California in 1979 as a runaway. There she worked in restaurants in a variety of capacities and went back to school to study art, early childhood education, and writing. After taking a course in Folk Medicine at the Cabrillo Community College, she became interested in herbal medicine and pursued training in Traditional Chinese Medicine while simultaneously completing an undergraduate degree in chemistry with highest honors from UC Santa Cruz (1988). As a child and young adult, Dorena found sustenance in the manifestation of the divine in the world. Her altar was her garden and the natural wonders of the world. When Dorena joined her first Twelve Step fellowship in 1989, that marked the beginning of a formal spiritual path and a program of self-improvement. After close to twenty years in Twelve Step programs, Dorena began studying with the Asian Classics Institute. The teacher training program she completed was developed by Geshe Michael Roach, the first westerner to earn a Geshe degree (twenty-five years training) at a Tibetan Monastery. She began teaching Buddhism in the San Francisco Bay Area in 2011. In addition to her study of the classical Tibetan Buddhist texts under Geshe Michael Roach, Dorena subsequently studied with Master Culadasa, the leader of the Dharma Treasure Sangha, whose teachings emphasize nonsectarian Buddhism. The culmination of her studies in Buddhism resulted in her publishing the book: The Twelve Steps as a Path to Enlightenment – How the Buddha Works the Steps in 2012. More recently (2012-2014) Dorena studied the Christian contemplative tradition, both the classical manuscripts and the modern writings of Bernadette Roberts. At the end of 2014 she began studying Dzogchen with Chogyal Namkhai Norbu. In 1998, Dorena returned to school (UC Davis) and earned a doctorate in physiology (2004). Her research involved exploring the effects of stress on female reproductive health and how herbs can be used to correct problems. Her doctoral research was funded by a personal predoctoral grant from the National Institute of Health–National Center for Complementary and Alternative Medicine. She teaches seminar in women’s health and a book of her course notes, Natural Approaches to Women’s Health is available at Amazon. Starting in 1995, Dorena studied Chi Gung and Tai Chi with Richard Upton, and beginning in 2011 Ba Gua and Hsing Yi with Tom Morrissey (student of late Master Kenny Gong). She maintains an active internal arts practice and leads classes. Her interest in alternative healing has led her to become a Reiki Master (2001), a licensed massage therapist (2004), a ThetaHealer® (practitioner: 2007, instructor: 2013), and Bars® Facilitator (2015). In order to serve her clientele better, she completed an associate degree in addiction and substance use disorders at Rio Salado College in 2015. 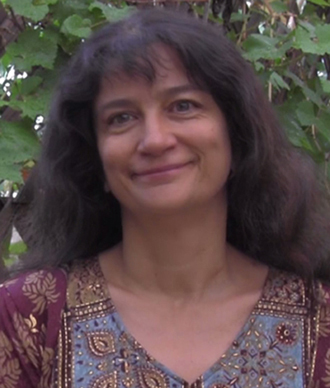 Dorena founded The Enlightenment & Simple Living Institute (TESLI) in Phoenix (2014-2016) in order to “inspire, encourage, and support people interested in alternatives to their habitual ways of living and thinking.” The institute offered classes, seminars and retreats on a wide variety of topics such as: meditation, herbal medicine, simple living, growing a business, website creation, addiction, ThetaHealing®, and Access Bars®. Dorena is the mother of one grown daughter and currently lives in Sonoma County, California. She spends her time meditating, creating art, gardening, writing, teaching a wide variety of subjects related to health, and helping people improve their lives as a health consultant and facilitator. Her blog can be read at TESLI.org. She is available for speaking engagements. More information about her can be found at DorenaRode.com. …so far the two different types of rice i bought sweet br and short br both are not working ….and one young man said he believes its Lundburg companies rice that is sold in the bulk section which is a sun dried rice that is known to be ideal for sprouting am i right?